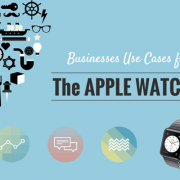 Working hours are no longer restricted to the age-old 9-5 grind. Rather, companies are increasingly utilizing flexible working hours that allow them the ease and convenience to work according to their family or personal commitments. Whether it be working from home or traveling abroad, the availability of new technology and globalization has enabled flexible working hours in the form of zero-hour contracts, career sabbaticals, and flexitime. This has helped many people, such as mothers raising children, students engaged in full-time study, or patients recovering from serious illnesses and diseases. Nonetheless, the prospect of a remote team is still relatively new to most entrepreneurs and CEOs. While it helps to facilitate greater worker autonomy and satisfaction, productivity and company cohesion may become lost or diminished. Therefore, managing a remote team of managers or employees raises important questions of whether projects can be completed within the stated deadlines or how company culture can be cultivated beyond the physical office space. 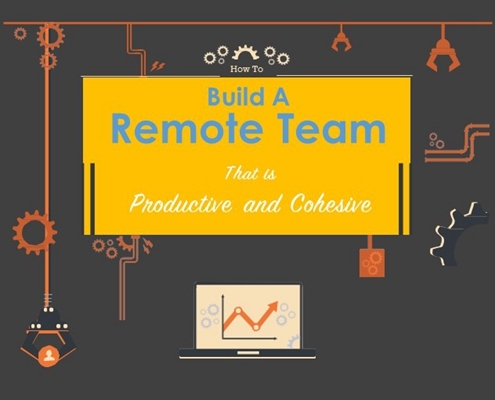 Here are a few tips on how to build and manage a remote team. First things first; building a successful remote team involves taking the right steps from the start – choose workers that meet your requirements. What this means is essentially hiring those who are not only comfortable with working remote hours, but also possess the qualities and skills for remote team effectiveness. To do this, you need to first choose workers who are doers. There is no point hiring people who often require direction to get things done. Hiring doers will ensure that your employees will get things done even if they are in the desert outskirts of Africa. Doers are self-learning hard workers; although you may need to give them guidance and direction to complete tasks, you will not have to spoon feed right down to every minute detail. It is also important that you hire employees whom you can trust. If you do not trust the person for doing a particular job, then you will most likely end up stressing over the stated deadline. But remember, it does go both ways. Writing is an essential communication tool and if your workers are not comfortable writing frequent e-mails and reports, then your remote team will not see fruition. A remote team cannot be built without using the proper tools. Tools are necessary for bringing cohesion, discipline and productivity. It will help you enforce teamwork and accountability of the work. Therefore, here are some tools that are effective for successfully managing remote teams. 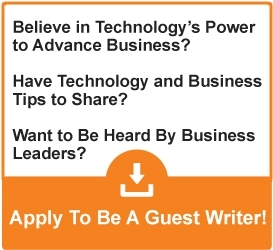 The GoToMeeting conference application offers superior audio and video quality. While Skype or Google Hangouts is great for communicating with multiple people at once, GoToMeeting does a fantastic job in facilitating communication with more than 10 people. Remote teams should make use of GoToMeeting for promoting a sense of office culture and teamwork. Working on projects in remote environments requires convenient ways to share data with one another. Google Docs is perfect for this. Easily share documents and spreadsheets for analysis of key metrics and benefit from greater organization of data through this web-based app. Ensuring employees are working together in a smooth and coordinated fashion is not always possible when they are outside the physical bounds of the workplace. Every team, whether remote or otherwise, requires structure to ensure all tasks are being executed within the state deadline. Here are a few tactics that prove to be useful in this regard. It gets difficult to communicate with all of your teammates at once. Unlike in the office culture, workers can easily mingle and socialize with one another and develop strong rapport that helps influence better worker coordination and efficiency. 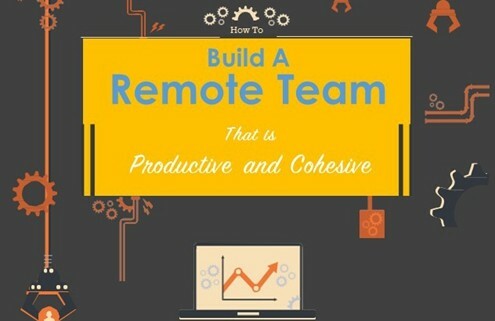 To achieve a similar effect in a remote team, it is essential to pair workers each week for a call. For the purposes of accountability, a day of the week can be set to have online meetings and post their status of their work. They can present updates in the form of presentations, documents or data reports. This way, you will be cultivating accountability within the remote workforce.